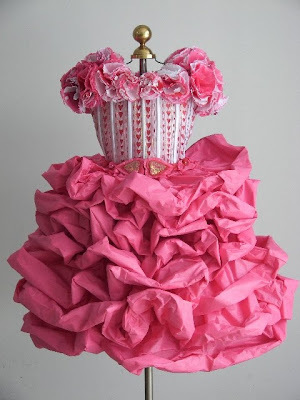 here are linda filley- paper couturier extraordinaries- intricate paper dresses. 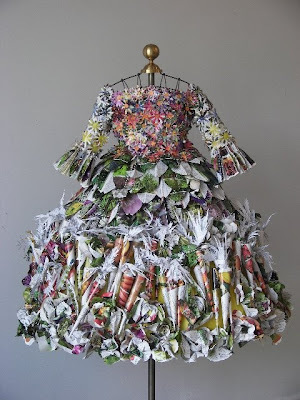 she constructs the "dresses" by covering life-sized wire mannequins with scraps of paper- everything from discarded gift wrap to black and white newsprint, twisting, folding, rolling and pleating them into these amazing costumes. 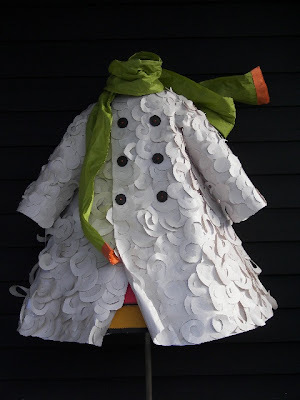 linda lives in the hudson valley and shows her work at paper trail in rhinebeck, ny. it is always a treat to walk by the store and see her latest designs which are often tied to the change of seasons or upcoming holiday.